US to fall short of Paris climate targets by one-third. A new study released September 12, 2018 found that the U.S. will fall short by about one-third on its greenhouse gas emissions targets stipulated in the Paris Climate Accord, according to a report from The Hill. The report titled “Fulfilling America’s Pledge” was financed by former New York City Mayor Michael Bloomberg and projects that by 2025, the U.S. will cut greenhouse gas emissions to 17 percent below 2005 levels. That is well short of the original pledge of a 26-28 percent cut in carbon emission levels that former President Obama committed to under the Paris agreement. 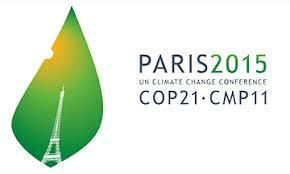 The report was unveiled at the Global Climate Action Summit in San Francisco. President Trump pulled the U.S. out of the agreement in June 2017, saying it was “very unfair at the highest level to the United States.” The U.S. is the only country not signed on to the pact, after Syria and Nicaragua signed on in late 2017. Paul Bodnar, managing director of the climate nonprofit Rocky Mountain Institute and a co-author of the report, said that despite Trump’s opposition to the Paris agreement, achieving lower carbon emissions is still possible through efforts by states and cities. The report estimated that with actions by state and city governments, the U.S. has the potential to reach 90 percent of the Paris target, even without federal support. A study has found that the U.S. will fall short by about one-third on its greenhouse gas emissions targets stipulated in the Paris Climate Accord. The study also estimated that with actions by state and city governments, the U.S. has the potential to reach 90% of its Paris target, even without federal support. Contact MIRATECH for stationary engine NOx, CO, VOC solutions.